Chemicals To Clean Because…Why? Probiotics Are So Much Better! 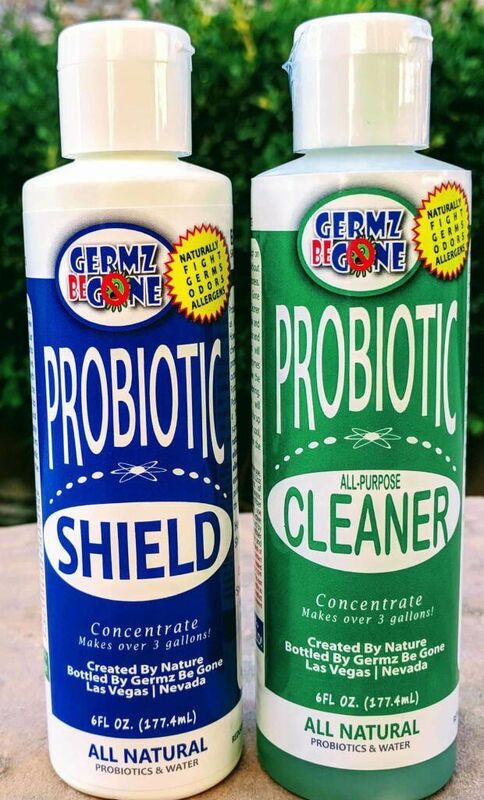 I use probiotics in my cleaning business and my own home and you should too. I’ve used Chrisal, AirBiotics and even have my own brand: Germz Be Gone. No matter the brand, though, make the switch from chemical cleaners ASAP. grease is broken down by the enzymes the bacteria create to digest it…making for easier wipe up. in fact, everything is easier to get up since the biofilm gets broken down. there is no dwell time! I repeat…THERE IS NO DWELL TIME!! Spray then wipe and your surface is sanitized–and keeps being sanitized since the probiotics are living things. Chemical disinfectants, including bleach, require 5 to 10 minutes of dwell time. That means you need to spray it, then let it sit for 5 to 10 minutes BEFORE wiping it up or rinsing the surface. microbiology lesson: probiotics and other bacteria communicate through “quorum sensing”–colonies of bacteria taking votes on which actions to take for themselves. For instance, if bad bacteria have the numbers (the votes) to infect their host, they will turn on their virulence and infect. If not enough votes, no infection. Doesn’t it make sense to outnumber the bad germs then? Chemical cleaners just can’t compete. Make the switch today! Deep Cleaning Just Got Easier For You! When was the last time you pressed the reset button on germs in your home? Germz Be Gone makes is super simple to do just that. Get a free service quote, reserve your date and checkout all on this page. Just put your feet up and relax while we do the dirty work. There is one thing that every hockey player knows for sure, but will not admit outloud to themselves nor their teammates for cause of embarrassment: your gear gets funky! Your pads get smelly enough to where they have to ride in the trunk of the car and are not allowed inside the house. Your days of embarrassment are over. Here are a few ways to keep your gear from smelling like a barnyard and also keep germs at bay that can cause infection and keep you out of competition. 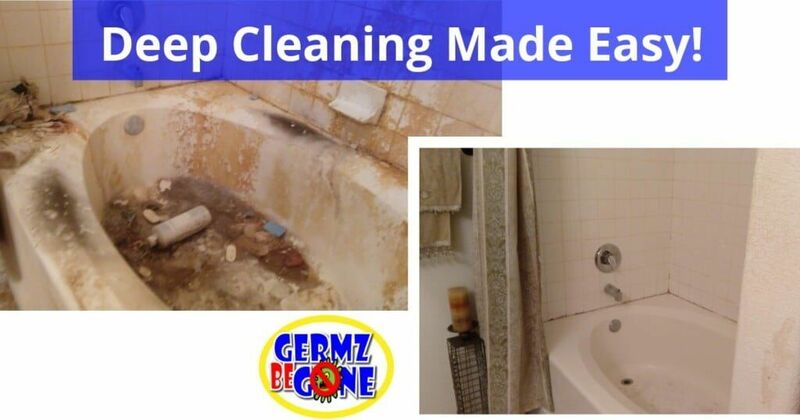 Germs love dark, damp places–that’s where they do the most multiplying. By zipping your gear up in a bag all you’re doing is giving germs like staph and e. coli their favorite environment. When enough bad germs are present that’s when your gear starts getting funky and you can get sick. I know it’s easier to toss your pads and skates in a bag and let them marinate in your sweat until the next time you need them, but that is not a good habit to get into to. A simple way to remember it: bad odors equal a ton of germs. After each game or practice it is critical to let your gear air out. Since we live in Las Vegas, and the air is dry, just place them outside for an hour or two (direct sun not required). The goal is to evaporate your sweat to give the germs nothing to eat and survive on. After evaporating your sweat from your pads, you are now ready to spray your pads down with something antimicrobial. There are number of chemical sanitizing sprays out there, but I highly recommend against them for a few reasons: 1) ounce for ounce, they cost more than natural sprays, 2) they simply don’t work–they will not penetrate fabrics before they themselves evaporate, 3) they have proven to be contributing factors in the growth of superbugs like MRSA and 4) they are hazardous to your health–their own warning labels say so! probiotics – 0.5 ounces to 32 ounces of water – probiotics can stay active for several days, so they are still working even when you put your gear back on. Each alternative works great and will keep your gear from harboring germs a lot longer than chemical sanitizers will, plus they’ll cut down on the odors that spring up from your pads. At least once per month, during the season, you should get your gear professionally deep cleaned. Look for a company that specializes in cleaning sports gear using natural methods. That way you won’t suffer in the long run from doing the healthy thing by getting your pads cleaned and deodorized from time to time. In Las Vegas, the only company I know of that cleans sports gear is Germz Be Gone. They use steam and probiotics to sanitize and deodorize your gear naturally. For the ultimate convenience, they are a mobile service and come to you. They even offer team discounts. Check out their prices. For $5 off for first-time customers use code: SAVE5. Whether you play hockey or any other sport where you sweat in pads the above techniques can be used to help save you embarrassment and keep you healthy and active. Please use these techniques every time you take off your pads. Remember to air out, spray down and get your gear professionally cleaned every now and then. Las Vegas Baby Magazine is a great resource for local families to find great, in-depth articles, tips, reviews, events and more. Tiffany and Oliver Mitchell are the founders of the magazine and also good people. They truly care about the Las Vegas community and are working to create a powerful resource for parents here in the valley. For these reasons, Germz Be Gone is proud to be their baby gear service provider. After scheduling your service or ordering your products on this site, be sure to check out Las Vegas Baby Magazine. This is not intended to be medical advice, but information for you to simply digest and expand your thoughts on how to eliminate or reduce sources and causes of certain ills in your life. If what you’re already doing is working and you’re happy with it, stick to it. If you’re looking for an alternative, probiotics should be something you at least look into. Suffering from allergies? Probiotics may help. Probiotics are great at sanitizing and cleaning. However, they also work great in purifying the air you breathe. 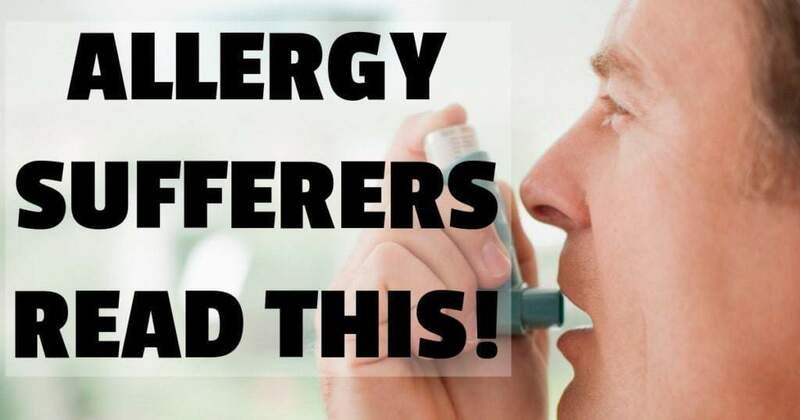 For asthma and allergy sufferers that means major benefits! The University of Florida released a study in 2017 stating that taking “a probiotic combination might help reduce hay fever symptoms, if it’s taken during allergy season.” The probiotics they mention are meant to be consumed in pill form. However, similar probiotics and science can be applied to your external environment. Probiotics are beneficial microflora that already exist in your environment. When applied as a fine mist or fog, probiotics literally eat up pollen, pet dander, dead skin cells, dust mites, dust mite feces and other organic matter. These allergens wreak havoc on your immune system without you being aware of the battle they wage. Only when you begin to sneeze, nose runs, you get congested, your eyes itch or you begin to feel sick that you realize your body is fighting something off. The beauty is the probiotics reduce the amount of allergens before they enter your body. This saves your immune system from having to deal with as many allergens and allows it to focus on more sinister threats rather than trigger an allergic reaction. The end result helps you breathe and rest easier which, consequently, boosts your immune system. If you’re looking for something to help with your asthma or allergies and want a natural solution try our Probiotic Shield Service. We apply the same probiotics Dr. Lee applies in patient rooms, but to your home, office, gym or anywhere else non-toxic allergy relief is desired. If you’re a do-it-yourselfer, you can purchase Probiotic Shield concentrate right here! Just mix it up in a spray bottle and spray where desired: sofas, beds and pet litter boxes are popular areas. The concentrate makes over 3 gallons of solution and has a shelf life of 18 months.